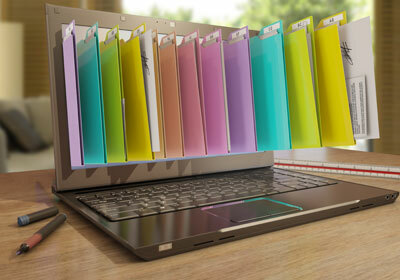 Start with one root folder such as “My Documents” to start building in your organization. Most Windows based computers already have a root folder already created. If you’ve got a mess of files on your desktop, start with sticking the documents there. Try to avoid your own abbreviations. Pretend you’re new and needed to be able to try to find things quickly. Have specific and logical names for your documents. Make things easy on yourself and name documents that tell you what they are so you don’t need to open it to find out. Consider including dates after the name so you know when it was updated or saved. Sending a first invoice? Don’t let it build up. File things in the right folders right away. This will keep it from getting out of hand. File and name the document in the right place when you create it! If you do things right the first time, there’s no need to worry about a back-up later. Use the cloud, SharePoint, One Drive, or another hard drive… Whatever the case schedule a day per week, at least, to back up your files somewhere else in case of an emergency. Technology is great, when it works, so don’t get lax and leave your files where something can happen and have a second place. Back up and back up often!